The Victoria Falls lie on the boundary of Zimbabwe and Zambia but it’s fair to say that Zimbabwe has the better views in the drier months of September to January – some would say these views are better year round. Certainly with the full array of hotels and activities on offer in Victoria Falls, there is no particular advantage to staying on the Zambian side of the Falls. The remoteness of some of Zimbabwe’s National Parks means that they have retained their wildlife numbers and the comparatively low visitor numbers on Zimbabwe safaris means that you seldom have a ‘Chobe or a Kruger moment’ when an excellent wildlife sighting produces a sudden convergence of vehicles seemingly from nowhere. The private concessions operating within the National Parks have ensured that wildlife conservation has been maintained and areas like Hwange offer some of the best game-viewing in Africa in the dry season months of June to October. 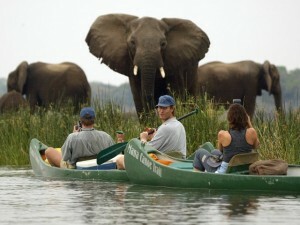 Zimbabwe safaris are justifiably known for their excellent guiding. The reasons are multi-faceted but the strictness of the Zimbabwean guiding exams combined with the fact that guiding is a comparatively well-paid career in Zimbabwe means that there are plenty of high calibre candidates keen to undertake the rigorous training. In the dark years of Zimbabwe’s economic tsunami, they sought jobs in neighbouring countries but with the resurgence of Zimbabwe’s tourism, many guides have returned to Zimbabwe. Great Zimbabwe in Southern Zimbabwe is considered by many to be the birthplace of African city-state and is an awe-inspiring place to visit, as are the Matobo hills (protected as a World Heritage Site) . Home to some of the best-preserved rock paintings in Africa, there is a spirituality about the Matobo Hills that calms and rejuvenates even the weariest and jaded of people. Unlike South Africa, Zimbabwe safaris offer abundant opportunities to enjoy your game-viewing both on land (by vehicle or foot) and from the water either by boat or canoe. 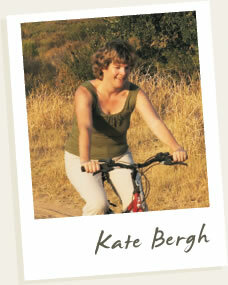 Check out Lake Kariba and Mana Pools in particular. Here you can explore the quiet inlets and tributaries and enjoy close-up views of semi-aquatic elephants as they enjoy the water. These are also two of the finest areas in Zimbabwe to try your luck at the famous tiger-fishing. As with other countries, Zimbabwe has a peak season in terms of game-viewing, but unlike Zambia, most of the camps remain open for business throughout the year. (Only Mana Pools has a shorter season from April to mid November). 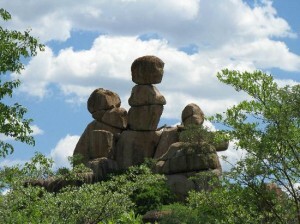 Much more than its famous neighbour Botswana, longer Zimbabwe safaris offer a diversity of landscapes. 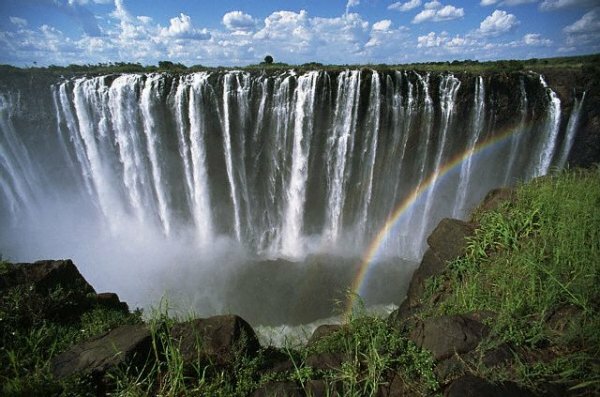 From the awe-inspiring power of the Victoria Falls to the spiritual serenity of the Matobo Hills; the languid beauty of Lake Kariba to the game-rich plains of Hwange, and from the watery paradise of Mana Pools, to mountainous rugged scenery of the Eastern Highlands – Zimbabwe seems to have all you could want from a safari holiday. 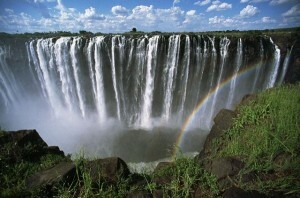 but also Hwange National Park and the lodges along the Zambezi River near Victoria Falls. Lastly but not least, the high guiding standards in Zimbabwe means that this is an excellent place to try a walking safari with an experienced and armed ranger. Bush walks of all durations are available in Mana Pools, Lake Kariba and Hwange whilst the lack of predators in the Matobo hills means that this offers the appealing prospect of self-guided walking.